Chattanooga Cabinets offers high quality cabinetry for every room in your home. Our cabinets are manufactured using only the finest grade materials by experienced craftsmen. With numerous door styles and finishing combinations to choose from, you are sure to find what works for your space. We have kitchen and bath designers who can assist you with a design that is right for your home and lifestyle. Göser Tile Studio was started out of a fresh inspiration of creativity and quality. Our motivation to reach higher quality standards in our portrait tiles, as well as inspire new designs in tile work for residential and commercial interiors has forced us to work under a name that really stands for what we do. As a tile studio, our portfolio covers various areas of custom tile work. 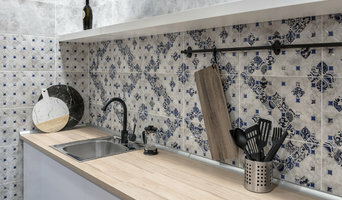 We design and manufacture our own custom tiles. For us, tile design is an opportunity to push the limits! Our passion lies in creating something deliberately unique to your space. That custom element can be exhibited as a very specific color, as an artwork piece or a design that sets your home apart. Greater Hamilton County's Motivated Custom Tile Studio- Best of Houzz! Chattanooga Granite & Marble is a locally owned and operated, and with over a decade of experience we can help you make your dreams a reality with the right stone for any project, including kitchens, bathroom vanities, fire places and outdoor kitchens. Specializing in the design, fabrication and installation of granite and natural stone surfaces. We have a large selection in stock and designers to guide you through every step. From kitchen and bath countertops, to outdoor spaces, you will find a unique custom stone that will bring beauty, durability and style to your space. We love to work with homeowners and enjoy an established reputation with builders and interior designers. We will redesign your Kitchen and bath from the floor to the window treatments, work within your budget and produce an awesome space. Functionality and attention to detail is our focus. Visit our showroom and realize your remodeling dream. Whether you are building a new home or remodeling your current home, we can help. It's easier than you think. 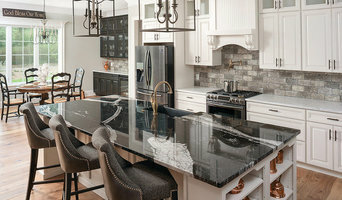 We have a great selection of natural stone such as granite, marble and slate, unique tile for floors, walls and a decorative mosaic, high quality plumbing fixtures for bathroom remodeling and kitchen remodeling and a diverse array of flooring and countertops. Dream Home Kitchen & Bath LLC. *Authorized Fieldstone Cabinetry Dealer* I am professional, knowledgeable in product selection, space planning, materials and finishes. As a kitchen and bath designer, I create kitchens and baths for clients, including cabinets, flooring, hardware, lighting, countertops, back splashes and appliances. Based on my client's budget, I use my skills to determine their project goals, prepare final plans and create a timeline for completion of the project. I make sure the kitchens and baths are functional, convenient, comfortable and up to building code. I have extensive experience in both residential and commercial kitchen and bath design. If you’re looking for quality cabinets that reflect your taste and lifestyle and are both beautiful and functional, you've come to the right place. Pig House Cabinets offers a complete range of cabinet services and pricing to fit any budget. Our specialties include custom cabinets, semi custom, production cabinets and cabinet restoration and refinishing. 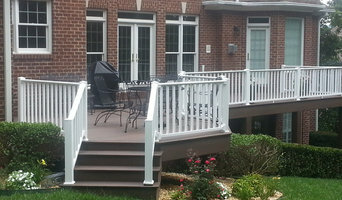 You will notice a high level of quality and craftsmanship in everything we do. Our cabinets are built to stand the test of time and to add value to your home. We combine old-world quality, many years of experience, and the latest in materials and design to meet your cabinetry needs. We will identify your needs based on your lifestyle and create a custom cabinet configuration. No detail is too small. Kitchen and Bath Remodel design sales and service. Turn key operation. Complete remodels backed up by Lowes! Finally remodeling without the worry of will it get. We provide timelines start to finish. We have finance options. Lowes as a partner in your design and remodel gives you piece of mind like no other. Have you been daydreaming about that fabulous granite or quartz countertop that will be the perfect backdrop for making cookies, spread out projects, or just to stop and rest your cup of coffee? We’ll walk you through the process of selecting your stone material and then measure your area for the perfect fit. Not exactly sure of which color or material will suit your needs best? We can help! Our experts will streamline the selection process for you, and you’ll get the inside view on what the differences between materials will mean for you. If you need recommendations for other projects such as new cabinets or tile, we are happy to direct you to other trusted fabricators that specialize in these areas. After many years in the Kitchen and Bath industry Drew Humberger decided to pursue his true passion, custom cabinetry. Elah Interiors & Fine Cabinetry is a quickly growing completely custom cabinet company. Come visit our intimate showroom and experience a personalized hands-on approach to creating your custom project. We offer a comprehensive selection of cabinets that will fit any homeowner’s vision and project size. We work with a wide array of budgets to make homeowner’s visions come to fruition. Elah Interiors & Fine Cabinetry's scope of work ranges from custom cabinets for kitchens & baths to custom closets, pantries and shelving units throughout the home. Your home is your castle. Expect nothing less than the best working on it. All of our home improvement work, from painting a living room to installing a new roof, is completed by reliable, trained professionals backed by over 20 years of experience. Anyone can throw out a number. It’s the accuracy that really matters. The best defense against hidden fees and charges is to get an itemized proposal before any work is done — included with every one of our free estimates — so you can see how every cost is accounted for beforehand. Cut back on the stress without ever cutting back on the quality. By picking through exactly what you want, whether custom cabinetry is a must or if you’re fine with prebuilt, for instance, you can tailor your remodel or renovation to precisely fit your needs while still fitting your budget. Take your house and turn it into a home with quality home improvements. Call A-1 Remodeling by Randall J. Smith today at 423-710-4226 for a free estimate and itemized proposal and see how affordable top quality service and craftsmanship can be. Lowe's of Dayton, TN is proud to have served the people of Rhea and the surrounding counties. We are dedicated to providing the best customer experience available. Our Lowe's Team has developed a process to help each customer develop the new Kitchen or Bath of their dreams, on their terms. Need a contractor, we can provide one. Already have a contractor, we can work with them. Providing your own labor, we can work with you. Your Project Specialist, Nancy Martinez is here to help work with you to design and implement the changes you want in your next project. Innovative Interiors is a locally owned small business that has served the cabinetry and countertop needs of Chattanooga for over ten years.